Pink Velvet Krush is pleased to announce that they will be supporting Danger Danger on Saturday August 30th at Revolution in Amityville, NY. 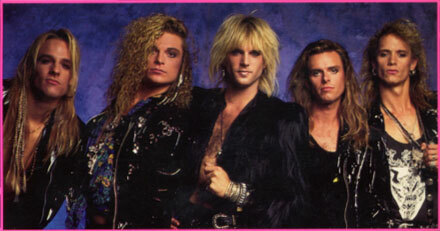 Danger Danger will be performing a 25th Anniversary Reunion Show featuring Ted Poley, Andy Timmons, Steve West, Bruno Ravel, and Kasey Smith. This show is the only U.S. show to feature the original band. Tickets are $20 and available at this location. August 30th will mark the debut performance for Pink Velvet Krush who recently announced their formation featuring former Bulletboys, Britny Fox, Steelheart and Vaudeville members. LONG LIVE PINK VELVET KRUSH. TIGERTAILZ “The Shoe Collector” Official Music Video Is: Stone’s Metal Pick Of The Day! TIGERTAILZ – 2013 can be earmarked as (another) triumphant comeback for the (Cardiff, Wales) legends of Glam/Sleaze: TIGERTAILZ. With founding member Jay Pepper (guitar) and long-time drummer Matt Blakout, TIGERTAILZ rounds out with Jules Millis on vocals and Rob Wylde on bass. 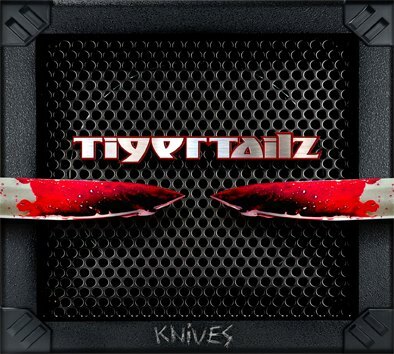 With 6 years elapsed since TIGERTAILZ released any new studio material, Knives (5 song EP) was released this past October 22nd, via Scarlet Records. Knives is a 5 song EP worth the wait for fans of TIGERTAILZ and any old schoolin’, no foolin’, beer bong toolin’ Heavy Rock aficionado. KERRANG! gave this new Knives EP a KKKK rating and I highly recommend that you support TIGERTAILZ by picking up this EP; Knives costs less than an overpriced steak and no animal has to die for you to enjoy it! Metal be thy name! WARNING: This video contains babalicious stimuli. Yup. THE BANG GANG “Pedal To The Metal” Is: Scott Coverdale’s METAL Pick Of The Day! 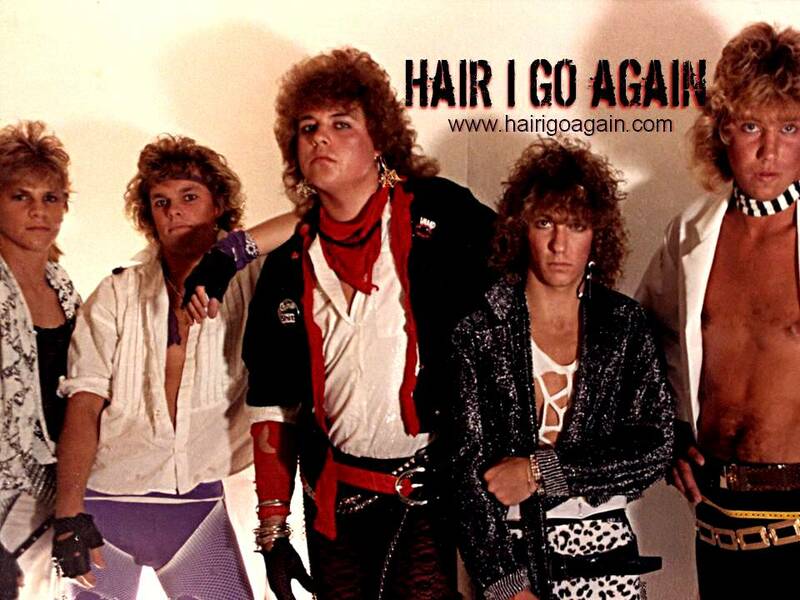 THE BANG GANG – As with any Metal genre, the Hair Metal scene had many a talented band that were never signed to a major label and become a household name. The Bang Gang from the USA is one such band and their 1990 studio album, Love Sells (Sinclair Records), is a genuine need for any Hair or Sleaze Metal aficionado! This first album from The Bang Gang is now realistically rare. Very rare! How rare? Try the $50.00 to $69.00 (U.S.) range for both new and used CD’s of Love Sells, currently listed on Amazon.com! That’s rare. THE BANG GANG “PEDAL TO THE METAL” IS SCOTT COVERDALE’S METAL PICK OF THE DAY! LONG LIVE THE HAIR METAL LEGACY OF THE BANG GANG. 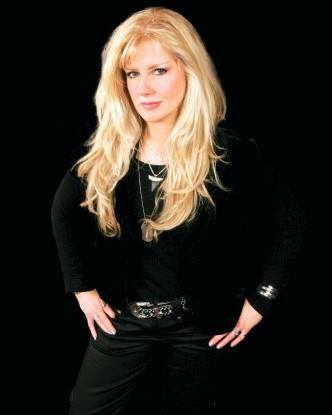 80’S HAIR / GLAM METAL – VOTE FOR YOUR FAVORITE 80’s BAND, SONG AND CONCERT! VOTE NOW! 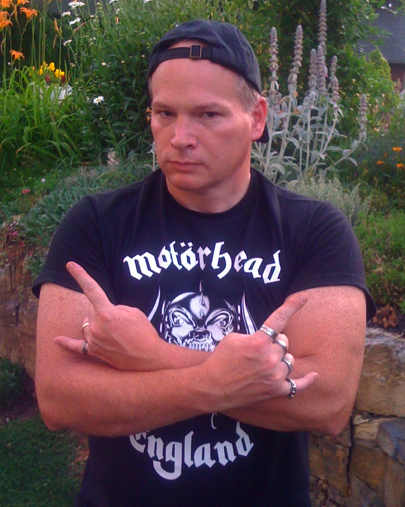 80’s Hair Metal has been making a TON of cool noize since, well, the 80’s! Forget about the comebacks, the reunions and entire Hair & Glam Metal revival… cause fans of the BIG hair, BIG lights, BIG power ballads, overuse of makeup and Arena sized parties know: this colorful, LOUD and spandex splitting genre has never left the building! Metal be thy name! Below are 3 ultimate cool Hair & Glam Metal polls for YOU to exercise YOUR right to VOTE! YOU can fill in YOUR own answer too! Have FUN and THANK YOU for visiting! WHOA!! VOTE FOR YOUR FAVORITE HAIR/GLAM METAL SONG! VOTE FOR YOUR FAVORITE HAIR/GLAM METAL 80’s BAND! VOTE FOR YOUR FAVORITE HAIR/GLAM METAL 80’S CONCERT! YOU can purchase the MP3 download of Ultimate ’80s Hair Metal, from Amazon.com, by clicking the link below! YOU get 50 original songs for ONLY $8.99!! WHOA!! LONG LIVE HAIR & GLAM METAL. LONG LIVE THE LOUD & PROUD ROCKIN’ SPIRIT OF THE 80’S. KILLER DWARFS “START @ ONE” – A Classic Hard Rock Album Is Resurrected! KILLER DWARFS – What once was old is new again. What once was forgotten is rediscovered and glistens like a full and welcomed beer keg under a moonlit sky. This beer keg being referenced is the “lost” studio album, Start @ One, from one of Canada’s greatest of Heavy Rock bands ever: KILLER DWARFS. With KILLER DWARFS new studio album Start @ One, the bright lights of Arena Rock and party like you’re 18 again magic of this 1980’s/early 90’s Hard Rock/Heavy Metal band has returned! This album was meant to be released years ago; only the timing and circumstances surrounding it would not allow this darling batch of nine songs to see its delivery upon the Dwarf Nation. Now it’s here! Unlaced Nike high-top sneakers as my witness, this KILLER DWARFS album is as fun, entertaining and Hard Rockin’ today, as it would have been back in the day. This is an album and a band that is brimming with so much appeal. 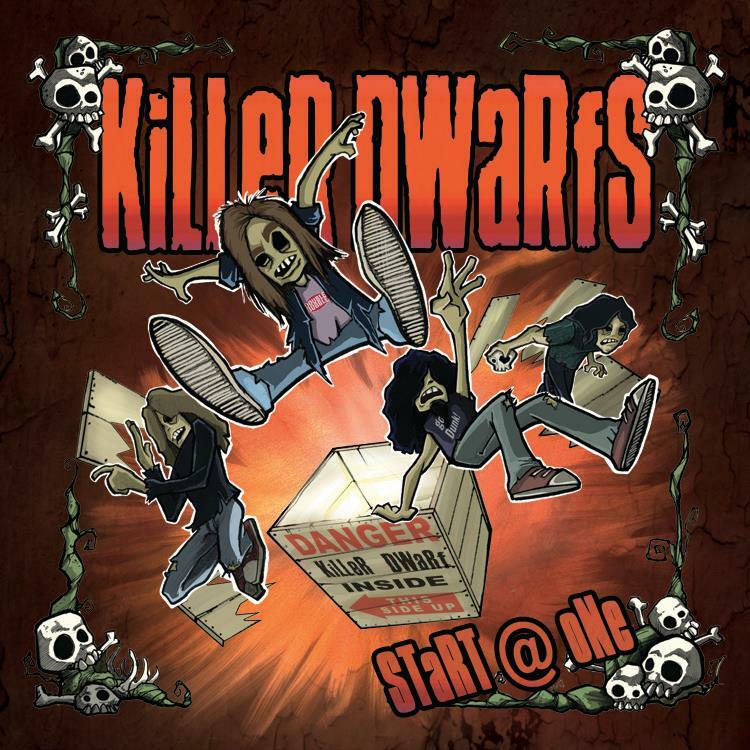 Many, many from the Classic Rock, Hard Rock, Hair Metal and Melodic Heavy Metal crowds should be stoked by the gallant return of KILLER DWARFS! Quality Melodic Hard Rock of yesteryear will never lose it’s luster, flavor or psyche-you-out impact on me. Start @ One is proof positive of this. It’s the colorful and booming sound of KILLER DWARFS, with major league songs that have always made them so memorable and this album is once again confirmation of just that; with the band’s chemistry of good times and Rock ’till you drop attitude spilling over each song! Russ Dwarf should now be considered in every conversation of celebrated vocalists of 80’s Hard Rock up to present day. Solid Ground, Sky Is Falling and seven other songs are my choice favorites on Start @ One… and I’m not messing around! 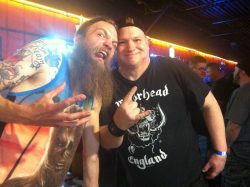 If you’re to take my Metal advice and run with it, then, go and buy Start @ One and be reminded that KILLER DWARFS have reunited and returned to conquer the villages, rural centers and all urban dwellings, while raising the Dwarf Nation flag to more grandiose heights! Metal be thy name. It is with profound sadness that we announce the sudden passing of Vixen founder and lead guitarist, Jan Kuehnemund, who lost a fierce battle with cancer on Thursday, October 10, 2013. Though most well known for her gifted guitar playing and other musical talents, Jan was a rare friend and beautiful in every sense of the word. Humble, thoughtful, loyal and kind, she was the most gracious of women, possessing the quiet strength of a true warrior. She genuinely loved and appreciated her friends and fans more than most could ever know. Those who were most fortunate to have known her and loved her are heartbroken at the loss of Jan, whose spirit will shine through her music eternally. All of us at Metal Odyssey expresses the sincerest of condolences, to the family, bandmates, friends and fans of Jan Kuehnemund. Her prized contributions to Rock ‘N Roll shall live on forever. May Jan Kuehnemund rest in peace. LONG LIVE THE LEGACY OF VIXEN. Rest In Peace, Jan Kuehnemund. 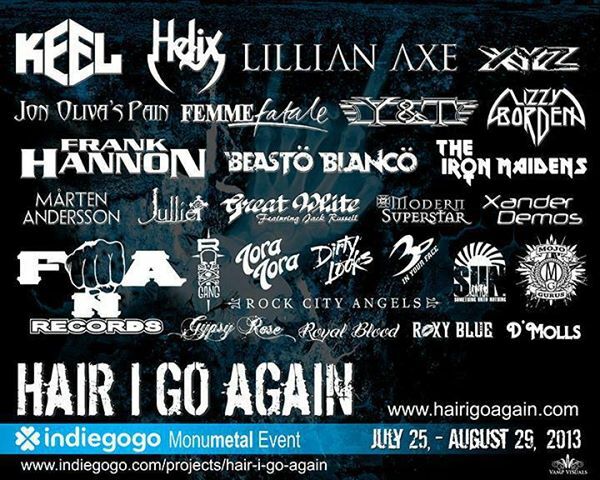 On July 25th we will be launching our Backers Rewards Event on Indiegogo – http://www.indiegogo.com/projects/hair-i-go-again/x/2319735. We will be offering a number of artist pledged and film related rewards as a thank you to our supporters and backers for pledges made towards the completion of our documentary film, Hair I Go Again. We cannot thank you enough for your support of our lives work. LONG LIVE THE DREAM OF TRYXX.